Hi. My name is Jason Hanson. I’m a former CIA Officer and New York Times bestselling author of Spy Secrets That Can Save Your Life. I’m also the creator of what I believe is the easiest, fastest, and most convenient way to take your concealed carry permit training. This course consists of a training video and is followed by a simple 20-question quiz. Although 99% of people pass the quiz on their first try, those who don’t, get to take the quiz again for free. Once the video and quiz are completed, you’ll be emailed your training certificate for Virginia and everything you need to know to get your permit. If you have any questions, please check out the frequently asked questions page here. If you don’t get an answer to your question there, you can contact me here or feel free to call me at (435) 572-4432. 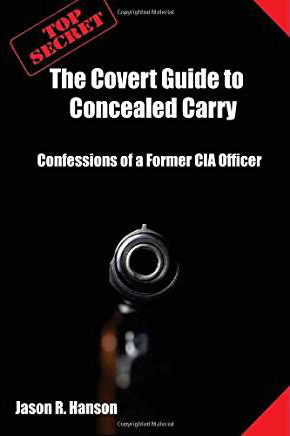 As a huge supporter of the Second Amendment, I encourage you to take this training today and I’m even going to give you a free digital copy of my firearms book called, The Covert Guide to Concealed Carry. "I truly wanted to thank you for your time and efforts in putting together this amazing class." "I thought it was spectacular…"
"Jason's concealed carry course is a no brainer. I recommend it to anyone concerned about crime and defending their family in an increasingly unpredictable world." "There is no doubt in my mind that (God forbid) I'm ever in a life threatening situation, I will be able to protect myself and my loved ones using the skills and knowledge I gained from you." "Hey Jason! I loved your course, I've learned a lot and the material that came with it is invaluable. I'm telling everyone about it"
Copyright © 2019 - Spy Briefing LLC. All rights reserved.